At Whitetruffle, we love pigs – and bacon jokes are pretty common around here. We’re also big foodies, so of course one of us eventually had to try making bacon. If you love bacon, and have never tried making your own, you’re missing out! 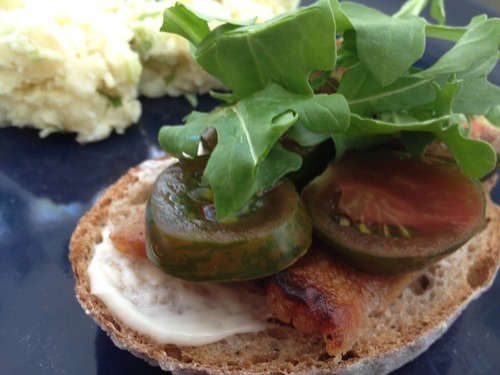 It’s simple, delicious, and makes the best BLT you will ever have in your entire life. We used heirloom tomatoes and a little arugula, ‘cuz we’re fancy like that. We got 9 pounds of it. Gorgeous! 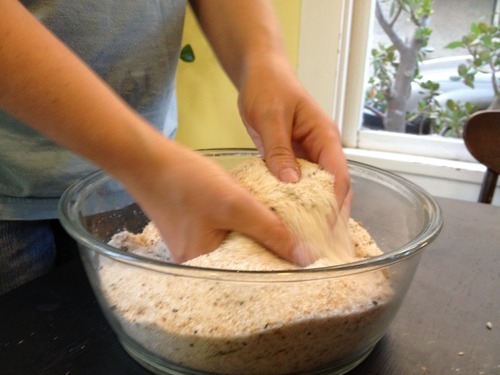 Measure out your salt, brown sugar, and spices. 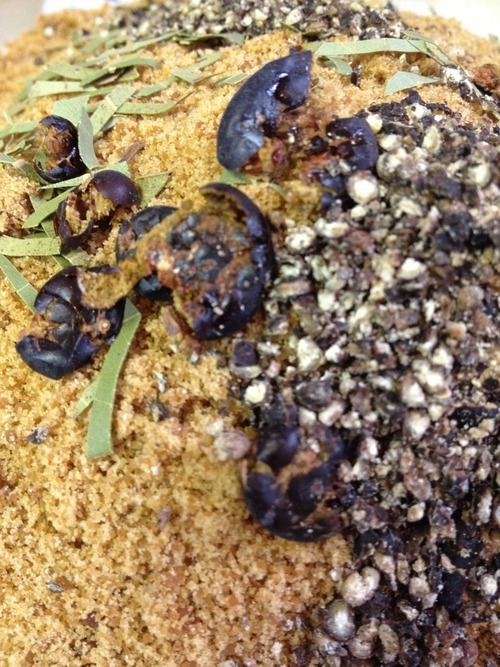 Crushed juniper berries smell amazing! Mix your dry rub well! 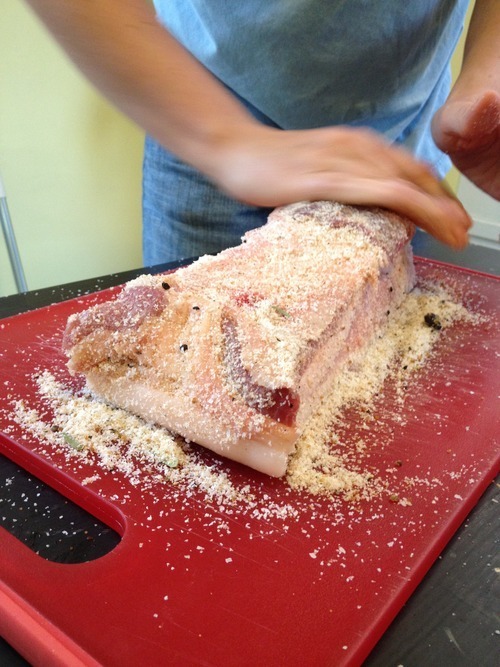 Rub the dry mix DEEP into EVERY SURFACE of the pork belly. 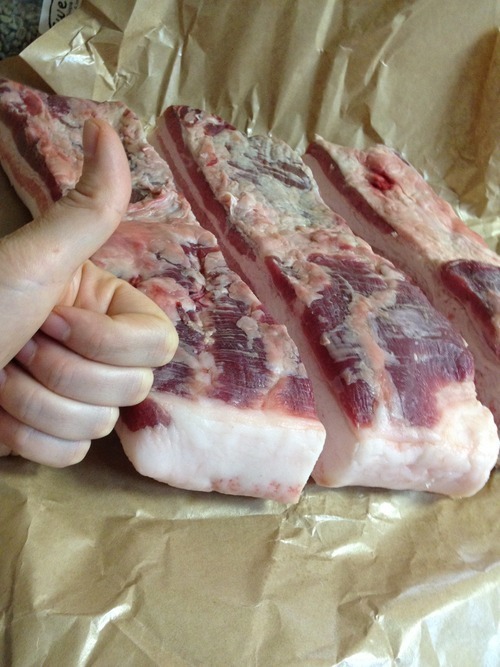 Put it in a clean container, cover with a clean cloth, and reapply the dry rub every day for five days – washing the container and turning the pork belly over each time. 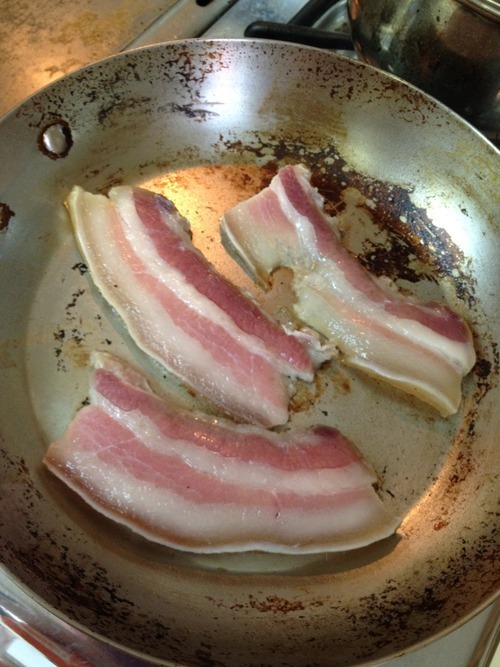 After five days of occasional tending – BACON! Perfect for pasta carbonara, sammiches, dipping in chocolate, or just enjoying on its own.